Bluefish444 deploys their products to every continent in the world through a network of OEM developers, distributors and resellers, and has an installed customer base of over 26,000 systems. The Epoch | Neutron range contains solutions for SD - HD, 3G - 4K and 4K+ workflows. Offering up 3 HD/SD-SDI or 6/3 3G/HD/SD-SDI inputs or outputs alongside 4K or 2K HDMI monitoring, the Epoch | Neutron range can cater for current and future requirements. Whether you choose an Epoch | Neutron for 2K/HD/SD I/O, or the Epoch | 4K Neutron TURBO for up to 4K 60p I/O, you'll also be presented with a variety of options for extra connectivity to suit your needs. Epoch | Supernova CG is tailored to suit 1.5G professionals and help them build the digital video solutions of today and tomorrow. A perfect fit for video servers, live broadcast graphics, encoders/decoders or channel-in-a-box solutions, Epoch | Supernova CG offers a variety of features tailored to 1.5G digital media workflows. 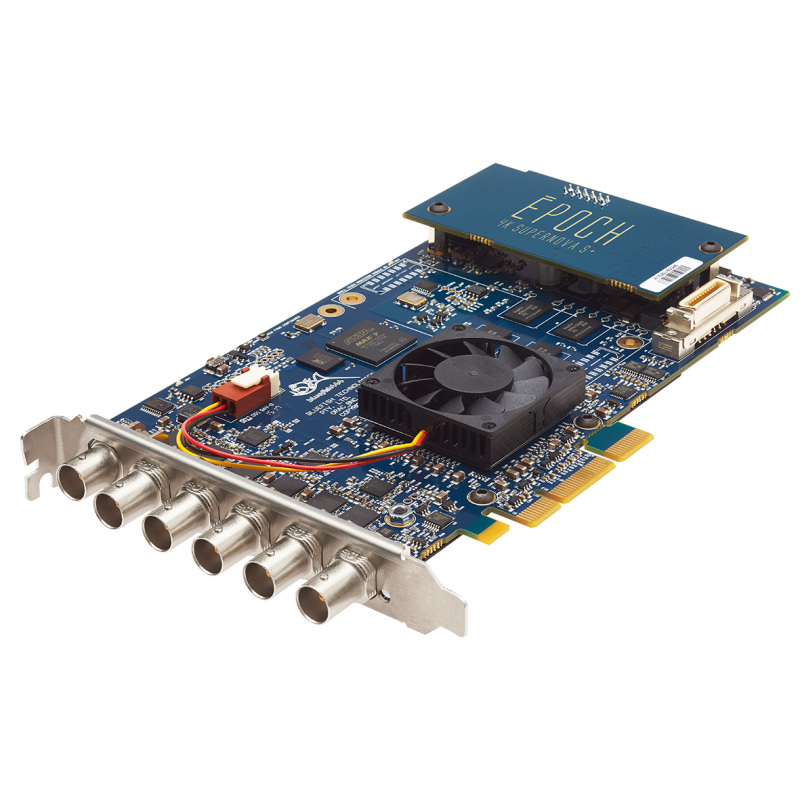 The Epoch | 4K Supernova S+ range is Bluefish444’s 4K, 2K, HD & SD video and audio I/O card for professional video workflows on Windows, macOS and Linux operating systems. 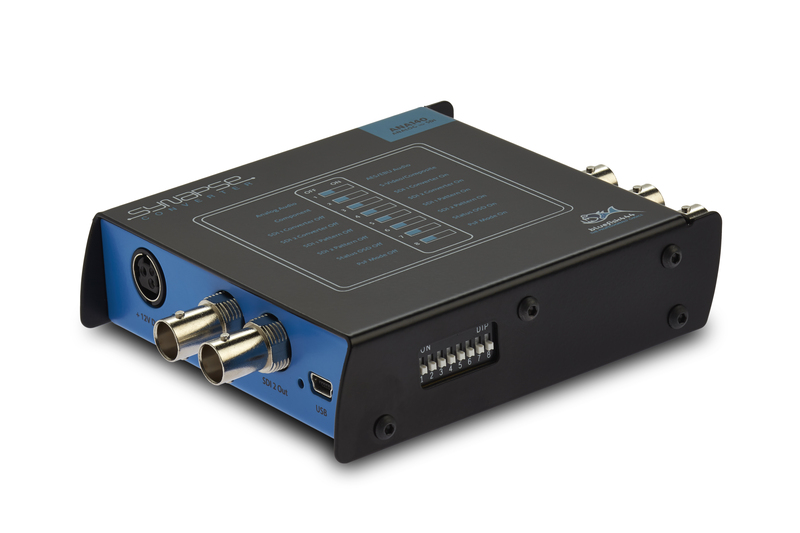 Capable of up to 8 independent and simultaneous channels of 3G/HD/SD-SDI input or output, the Epoch | 4K Supernova S+ range also features AES Digital Audio I/O, Analogue Audio Output, LTC I/O, SDI monitor BNCs and dedicated Genlock BNCs. Epoch | 4K Supernova S+ TURBO also offers 4K 60p input AND output for a more advanced package. Designed and manufactured with the same “No Compromise” attitude to quality as our video cards. 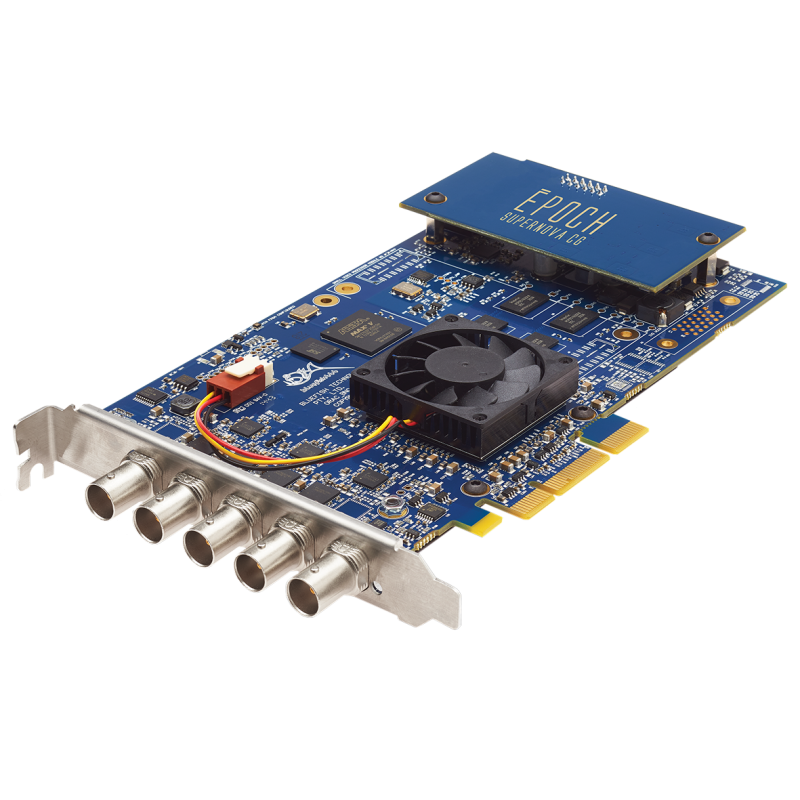 The Bluefish444 ANA 140 Synapse Converter delivers high quality analogue video and audio signal processing in a small form factor with second to none build quality and reliability. Read more about this product by clicking the button below. This will open up a new window and will take you directly to the Bluefish444 website. 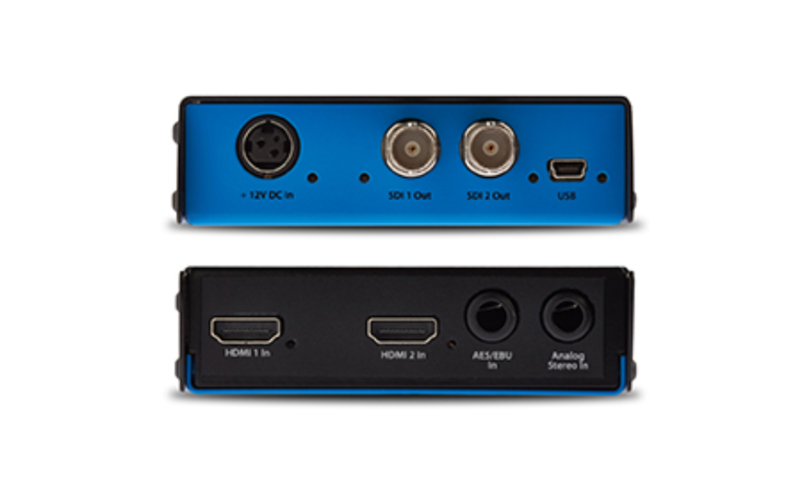 The Bluefish444 HDMI120 Synapse Converter delivers high quality HDMI video and audio signal processing in a small form factor with second to none build quality and reliability. 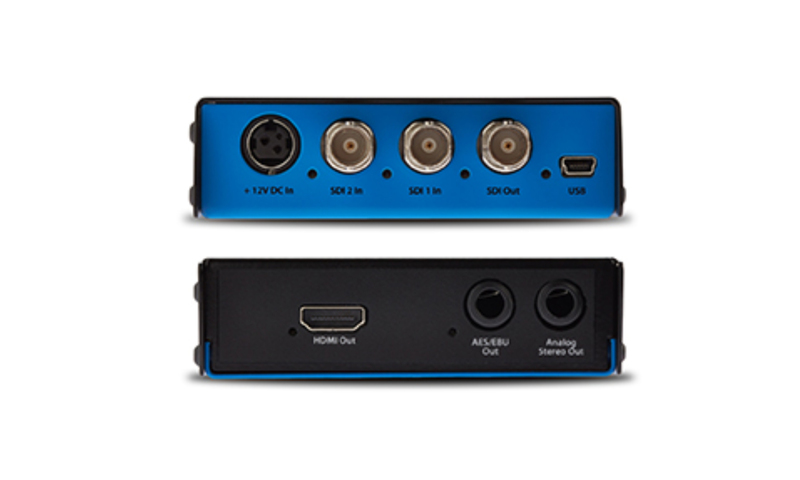 The Bluefish444 Synapse SDI110 converter delivers high quality SDI to HDMI video and audio signal processing in a small form factor with second to none build quality and reliability.